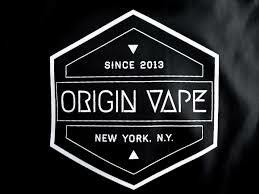 Origin Vape is a brand that offers authentic mods from popular brands such as Sigelei, Piooner4You and Praxis Vapors. Origin is focused on bringing you the latest devices and here you can find a coupon that you can use on their website when you want to get new gear at the best possible prices. 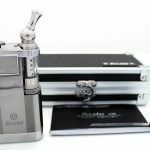 Origin Vape offers a great deal of devices and mods at amazing prices. Below you will see a list of the most popular options. This hand-held temperature limiting device works with a single 18650 battery and it can deliver 75 watts of power. This mod offers the latest Yihi chipset and it features advanced engineering enhancements over the IPV3. Just the case is the same. 200 Watts of power after the latest firmware update. The new Praxis mod v2 18350 by Praxis Vapors is a hybrid, 22mmm mechanical mod fully made in the United States. It is stylish and offers a fantastic style. It looks great with the Derringer RDA, which was also created by Praxis Vapors. Origin Vape also has a lot of tanks and RDAs. One of them is the new Aspire Triton Tank, a fantastic option that is set to replace the Atlantis series of clearomizers. It is possible to refill the sub-ohm tank from the top. Kanger EVOD Tank is another good option. 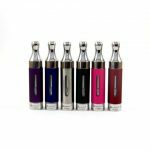 The Kanger offers great vapor productionand it is made out of poly-carbonate and steel. SMOK TCT Tank is a temperature control coil head tank that is set to get a lot of attention. You can also get a good (although limited) selection of high quality e-liquids. Even if there is not a great variety of options to choose from, you can be sure that the options available offer superb quality. For instance, you can get Milk Junky Strawberry Buttermilk, which is an organic juice blend of The Milk Junky that is completely natural and made in the United States. There are five options of cream and ripe strawberries. Another great option is the Glazed Blueberry Doughnot by Hostile Vapes. This is a light and sweet max VG with tones of buttery pastry and a slight taste of blueberry. In summary, Origin Vapes offers everything you need to enjoy a great vaping experience.